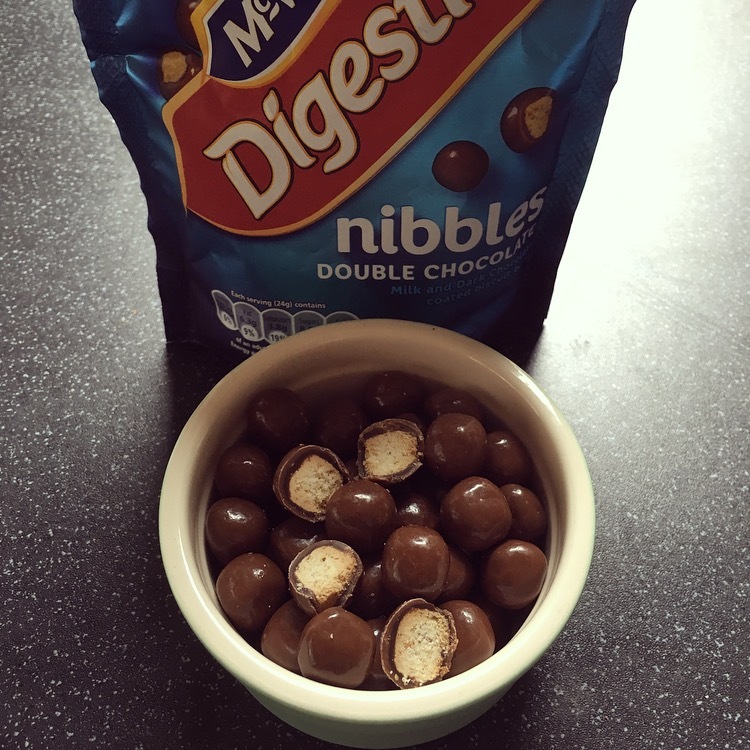 Last week I reviewed the New McVitie’s Digestives Nibbles in Milk Chocolate and Caramel, and whilst doing the old shoperoo at Waitrose I spied the other two flavours and had to give them ago. So alongside the former two varieties, McVitie’s have also released Dark Chocolate and Double Chocolate, which makes sense really given aside from Chocolate Orange Digestives these two are the only other chocolate digestive flavours they do. Each bag was £1.89 so let’s get nibbling. These smelt deliciously dark and had a thick dark glossy coating to match. I was rather excited by these as in our house Dark Chocolate Digestives are a staple. Again these are lovely and crunchy, the biscuit is a little drier but the amount of chocolate is just the right amount to counteract this, and is the perfect ratio of biscuit to chocolate. These do have a slight bitter tang to them and taste exactly like the original Dark Chocolate Digestives. I do find it slightly odd that they use plain chocolate rather than dark and yet call it dark chocolate on the packet. Nonetheless these are yummy and unbelievably moreish, they certainly didn’t last long and I shall be buying these again. What’s better than just chocolate? It’s double chocolate of course! 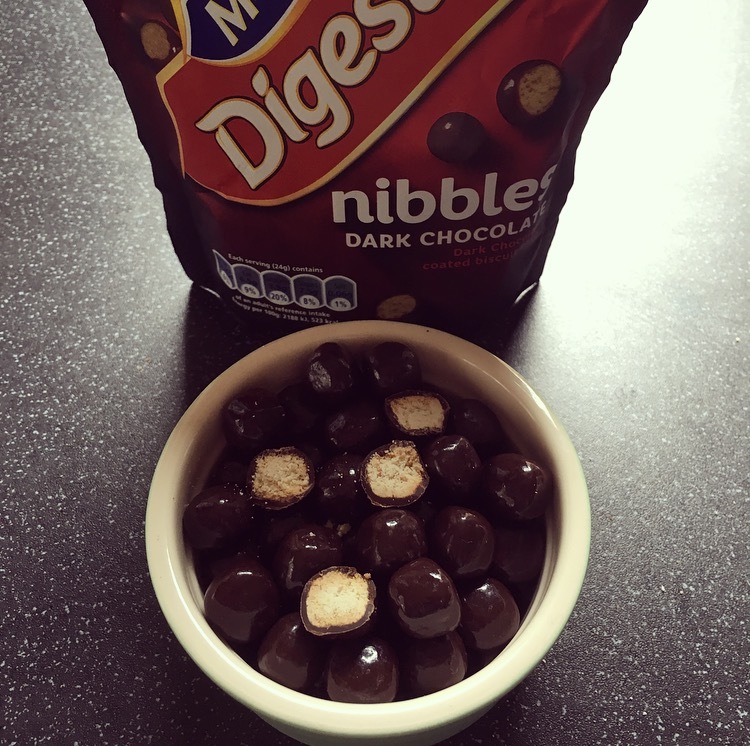 These nibbles are a mix of both milk and plain chocolate. Having never had a Double Chocolate Digestive before I wasn’t too sure what these were going to be like other than hopefully very chocolatey. Again there was a generous thick chocolate coating surrounding the crunchy biscuit balls. Flavour wise it is a lot lighter and is somewhere between the Milk Chocolate Nibbles and the Dark Chocolate Nibbles. 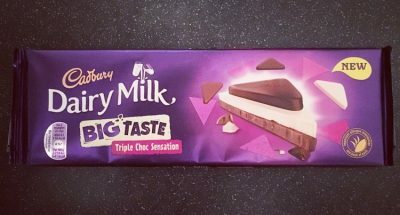 The use of the plain chocolate means that it offsets the sweetness which I like, however from taste alone I can’t tell that it is double chocolate because it just doesn’t pack that chocolatey punch that I expected. Yes these are rather nice but don’t expect a mass chocolatey hit because there isn’t one. 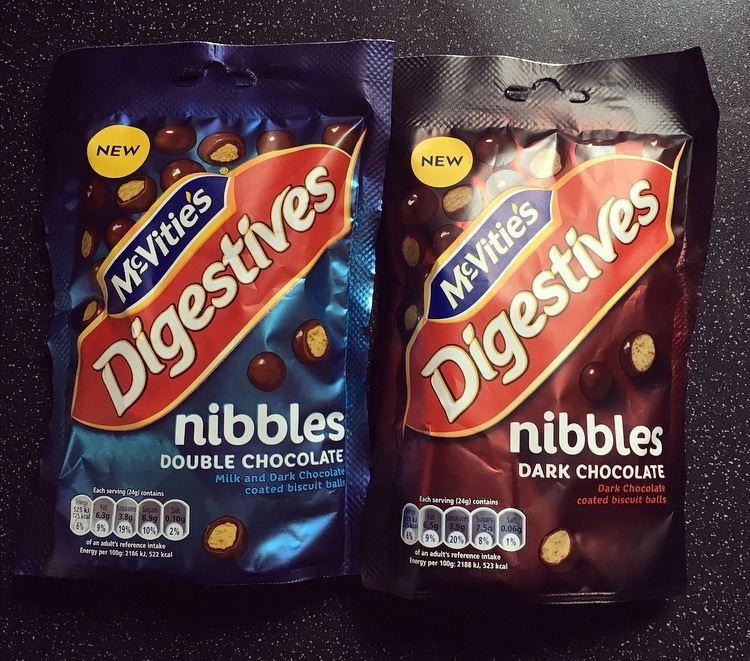 And now there we have the full range of the New McVitie’s Digestives Nibbles. Of all of the four varieties my favourite is definitely the Dark Chocolate, followed by Milk Chocolate, Double Chocolate and lastly Caramel. I wonder if McVitie’s will soon introduce the Milk Chocolate Orange ones or perhaps go for a completely different flavour that isn’t already apart of their Digestive Biscuit family. Even better I hope and pray for a Hobnob version, because really they are the king of biscuits. I guess we will just have to wait and see. I’ve had double choc digestives but I found them much different from normal milk choc digestives. They almost don’t look real.. They’re so shiny!